Mid-Atlantic Skin is proud to offer our patients the revolutionary Rapid Reveal Peel for purchase in Waldorf, MD. Have you ever wondered why the texture of your skin becomes rougher and the tone becomes duller as you get older? The reason is quite simple actually. As we age, cellular turnover slows and causes dead skin cells to get stuck together on the skin’s surface. Not only does this build-up lead to an uneven complexion, but it also makes it harder for light to bounce off of the skin and produce a glow. Fortunately, chemical peels like Rapid Reveal Peel are able to safely and effectively exfoliate skin and promote cellular renewal in the comfort of your own home. Here’s what you need to know about this professional-grade at-home peel. What is a Rapid Reveal Peel? 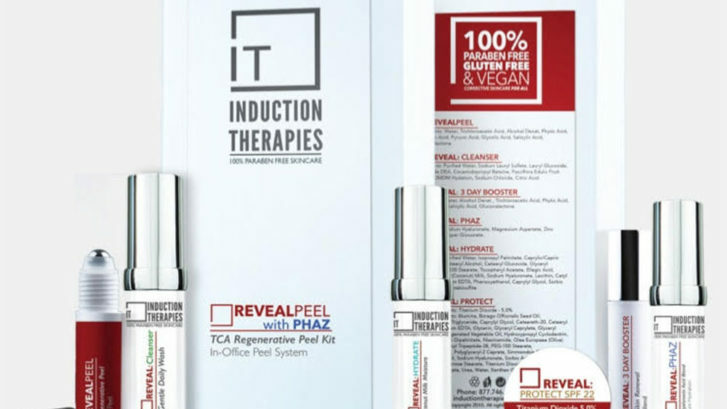 A Rapid Reveal Peel is comprised of a cocktail of acids and enzymes that remove debris and impurities from the skin and reveal a smoother, brighter, and clearer complexion. Its ingredients include AHA extracts, Lactic Acid, Fermented plant enzymes, Pumpkin Fruit Enzyme and Rice Bran Extract, Australian Caviar Lime Extract. Best of all, the treatment can be performed in minutes at home and has zero downtime. What Are the Benefits of a Rapid Reveal Peel? The Rapid Reveal Peel promises healthier and more radiant skin. It’s also works to exfoliate dead skin cells, reduce appearance of fine lines, smooths skin texture, and promotes cellular regeneration to maintain results between professional peel treatments. How to Apply the Peel? The first phase of the peel is applied to the patients face in office after undergoing a safe and effective microneedling procedure. After you leave the office, patients can then use the booster tubes that come in the package from day 2 onwards. Apply 1 tube every evening for the first three days, and thereafter, patients should use 1 tube weekly. When applying each tube of the peel, you should massage the contents into the skin and allow it to activate for 3-7 minutes. During this time, you may experience a tingling sensation, which is completely normal. Finally, the peel can be removed with cold water or a cold-damp towel. To learn more about how to get the Rapid Reveal Peel in Waldorf, MD, please contact our office today to schedule a consultation.